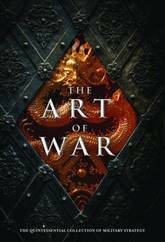 This elegantly designed edition of The Art of War includes four of history's key treatises: The Art of War, The Prince, On War, Instructions to His Generals. 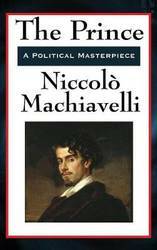 Collected in this elegant volume are four of the most influential military and political treatises in history. 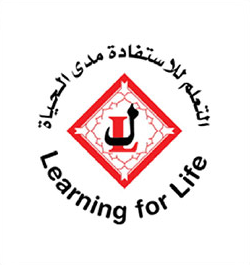 Originally written for a specific purpose, the principles conveyed through these strategy texts are universal and timeless, and continue to illuminate and inspire. 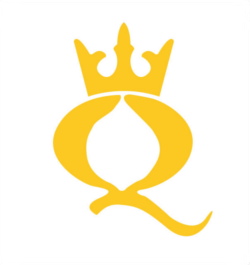 Whether you approach this reading for its historical significance or choose to apply this knowledge toward achieving success in your own life, you will be enriched. This stunning clothbound hardcover features a slipcase, ribbon marker, historical timeline, and comprehensive introduction providing the reader with enlightening information on the history of each text. 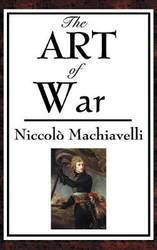 This highly produce volume includes: The Art of War In the oldest and most influential strategy text in existence, Sun Tzu's teachings (c. 6th century BC) on how to successfully respond to and handle situations of conflict is a must-read for business leaders of today. 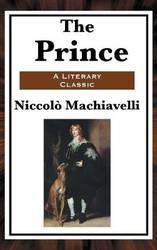 The Prince Written during the Italian Renaissance, Niccolo Machiavelli's (1469-1527) astute observations on how to read people and situations, especially for acquiring and maintaining political power, is a classic primer for politicians and business leaders alike. 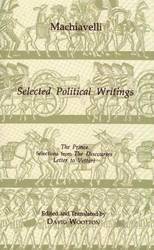 On War Drawing on his experience in the Prussian military, General Carl von Clausewitz's (1780-1831) examination of the realities of warfare, including its moral and psychological aspects, is required reading at military academies. Instructions to His Generals Establishing Prussia as a major force by successfully defeating French, Russian, and Austrian armies during the Seven Years' War, Frederick the Great's (1712-1786) advice on leadership, strategy, tactics, and discipline continues to be relevant. Translated by C.E.Detmold. With an Introduction by Lucille Margaret Kekewich. 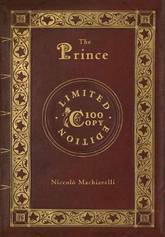 Written in 1513 for the Medici, following their return to power in Florence, The Prince is a handbook on ruling and the exercise of power. It remains as relevant today as it was in the sixteenth century. 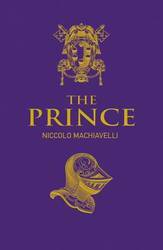 Widely quoted in the Press and in academic publications, The Prince has direct relevance to the issues of business and corporate governance confronting global corporations as they enter a new millennium. 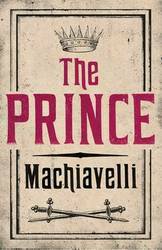 Much of what Machiavelli wrote has become the common currency of realpolitik, yet still his ideas retain the power to shock and annoy. 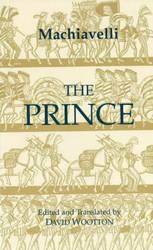 In the words of Norman Stone, The Prince is 'a manual of man-management that would suit a great many parts of the modern world'. 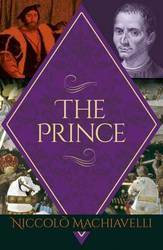 Here are The Prince and the most important of the Discourses newly translated into spare, vivid English. 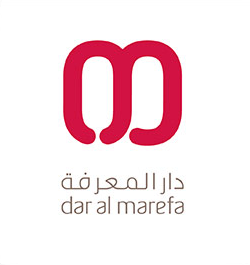 Why a new translation? 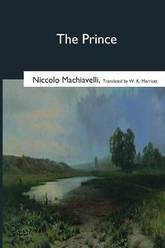 Machiavelli was never the dull, worthy, pedantic author who appears in the pages of other translations, says David Wootton in his Introduction. In the pages that follow I have done my best to let him speak in his own voice. 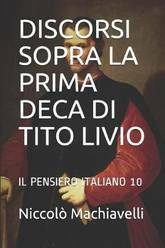 (And indeed, Wootton's Machiavelli does just that when the occasion demands: renderings of that most problematic of words, virtu, are in each instance followed by the Italian). 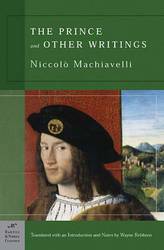 Notes, a map, and an altogether remarkable Introduction no less authoritative for being grippingly readable, help make this edition an ideal first encounter with Machiavelli for any student of history and political theory. 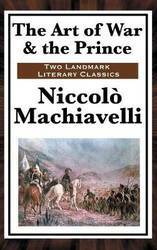 The question of order inspired two of the greatest political thinkers of the Renaissance - Niccolo Machiavelli and Francesco Guicciardini. 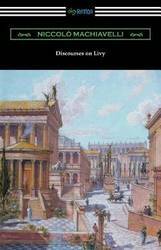 This authoritative translation links their major works on the nature of government. 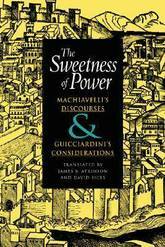 Political adversaries but nonetheless friends, Machiavelli and Guicciardini both looked to the past to understand the present. 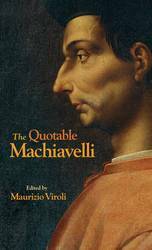 Machiavelli examined Roman history in order to identify its underlying political principles while Guicciardini tended to look at the motives of the people who shaped history. 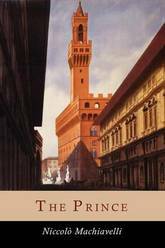 Reflecting on ancient Rome, both thinkers refined their conceptions of government with an eye to the political turmoil of their own city of Florence.Based on the definitive Italian editions and including extensive explanatory notes, The Sweetness of Power articulates a conflict that resonates throughout the history of western political thought. 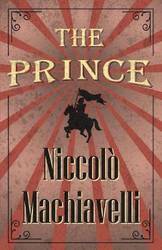 At the end of an industrious political career in conflictriven Italy, the Florentine diplomat Niccolo Machiavelli composed his masterpiece The Prince, a classic study of power and politics, and a manual of ruthlessness for any ambitious ruler. 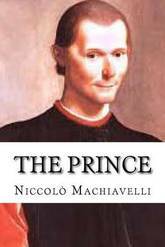 Controversial in his own time, The Prince made Machiavelli's name a byword for manipulative scheming, and had an impact on such major figures as Napoleon and Frederick the Great. 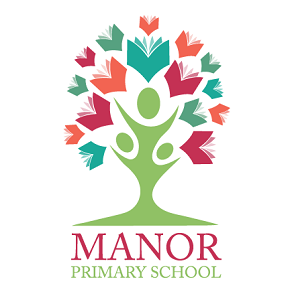 It contains principles as true today as when they were first written almost five centuries ago. 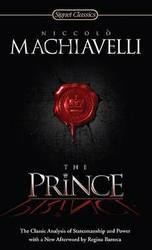 Machiavellian adj. 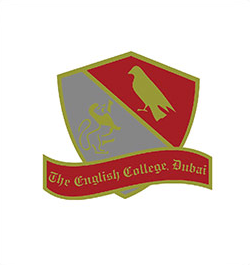 elaborately cunning; scheming, unscrupulous. 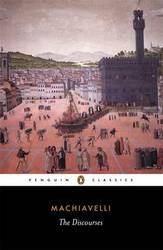 Machiavellianism n. (N. dei Machiavello, Florentine statesman and political writer d. 1527, who advocated resort to morally questionable methods in the interests of the State). How remarkable that an Italian living in the 15th and 16th centuries should lend his name to a word still in common usage in the English language today. 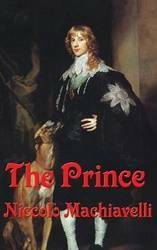 The Prince has remained a prominent classic ever since its publication in 1513; valued for its shrewd psychological insight, powerful words and prophetic quality. And even today, it has never lost its power to shock and influence. Ian Richardson played machiavellian Francis Urquhart in the hit TV series The House of Cards, To Play the King and The Final Cut. 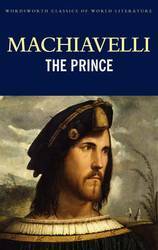 His formidable reading of this modern unabridged translation is an accessible and entertaining way in to a truly compelling world view. 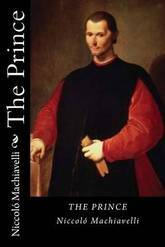 Few figures in intellectual history have proved as notorious and ambiguous as Niccolo Machiavelli. 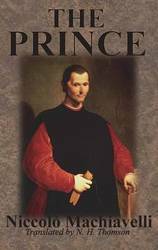 But while his treatise The Prince made his name synonymous with autocratic ruthlessness and cynical manipulation, The Discourses (c.1517) shows a radically different outlook on the world of politics. 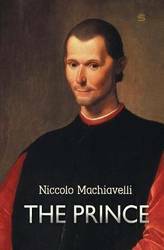 In this carefully argued commentary on Livy's history of republican Rome, Machiavelli proposed a system of government that would uphold civic freedom and security by instilling the virtues of active citizenship, and that would also encourage citizens to put the needs of the state above selfish, personal interests. 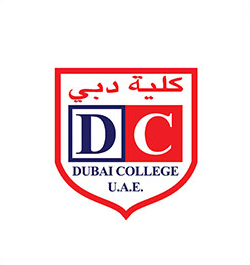 Ambitious in scope, but also clear-eyed and pragmatic, The Discourses creates a modern theory of republic politics. 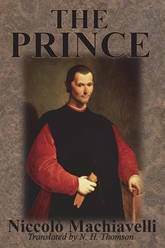 Leslie J. Walker's definitive translation has been revised by Brian Richardson and is accompanied by an introduction by Bernard Crick, which illuminates Machiavelli's historical context and his new theories of politics. This edition also includes suggestions for further reading and notes.